Find out more advantages of an all-in-one solution that provides you immediate and lasting results. The container that moves all the documents and official information, pushing your company ahead. The right choice if you need to standardize and speed up production of all company documents. Oriented to the design, product configuration, industrial automation and more. A 3D and 2D project without a cad license on the pc, without cad skills and without making mistakes. An application designed for those who have within 2D or 3D CAD documents all the information useful to manage spare parts. 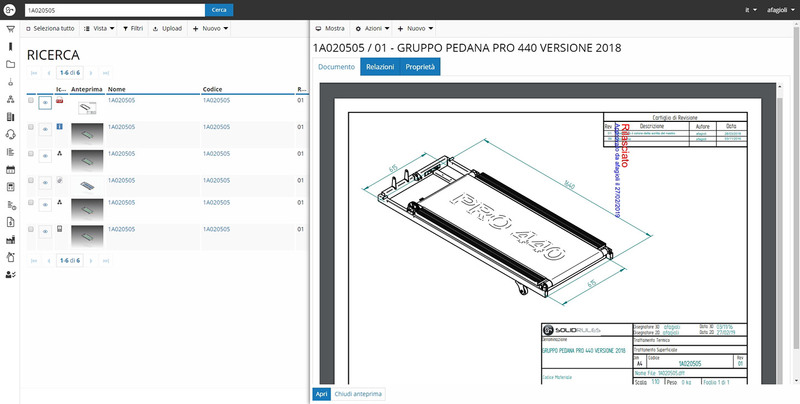 The solution that allows you to estimate your components cost during design phase. The configuration solution conceived to sell, design and realize heat exchangers decreasing leadtime. 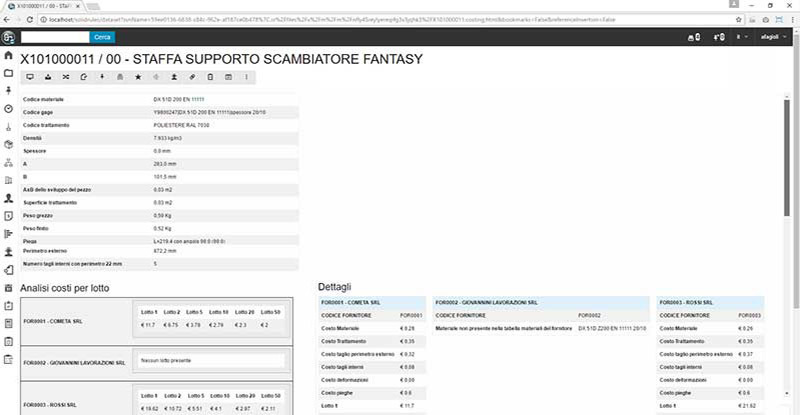 Pre-configured integrations for SugarCRM, Subversion, Teamcenter, Linkersys, NopCommerce. 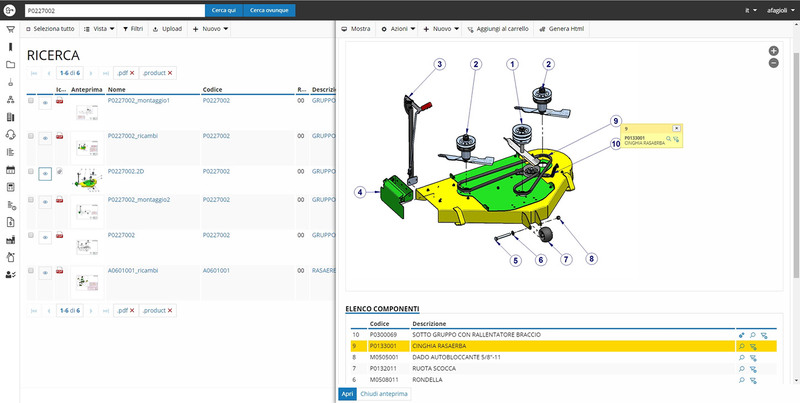 PDM, PLM, Technical-commercial product configurators, Spare Parts, Ticketing, Service, Orders, CRM and more. These are only some of the needs SolidRules® is able to solve. To find out them all, browse SolidRules products. What you are looking for is not listed above? Our configurator will guide you towards the ideal solution for your company. Try it now! 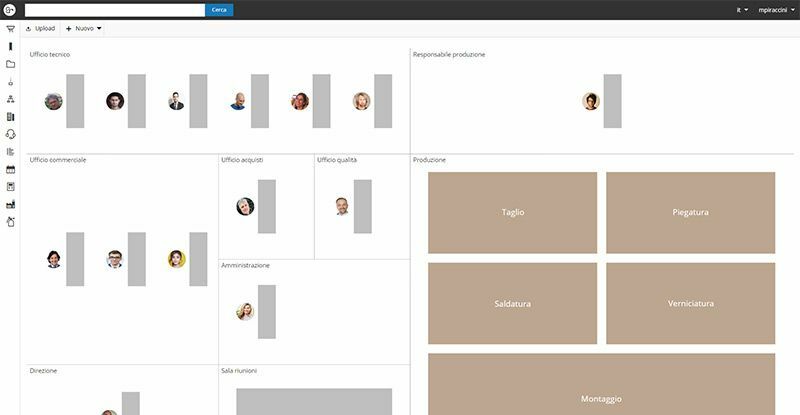 Project management system (PMS), customer relationship management (CRM), ticketing system, calendars management, resource management, document and prodution management in just one solution: SolidRules® Desk. Automatic coding, classification, storage, project printing, vaulting, versioning, workflow, bill of materials, multi-cad. You can do all of these things and more with SolidRules® InCentro PDM. 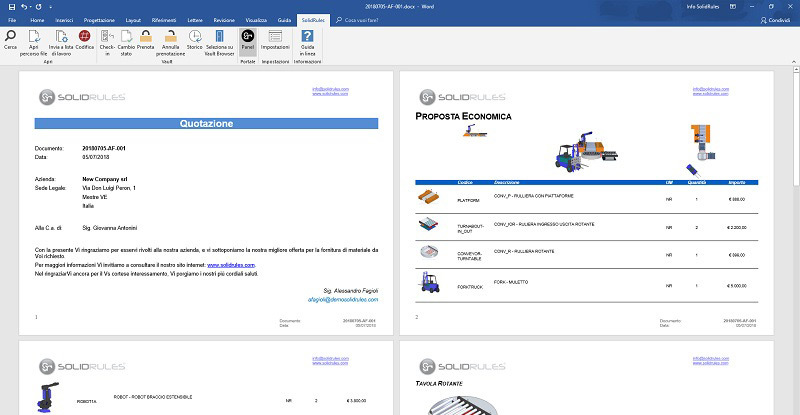 Solidrules® Incentro PLM can provide a supervised, simple and safe sharing of documents (pdf, pdf 3d, images, bill of materials) to all the company and suppliers. For SolidRules® InCentro PLM owners is everyday life. 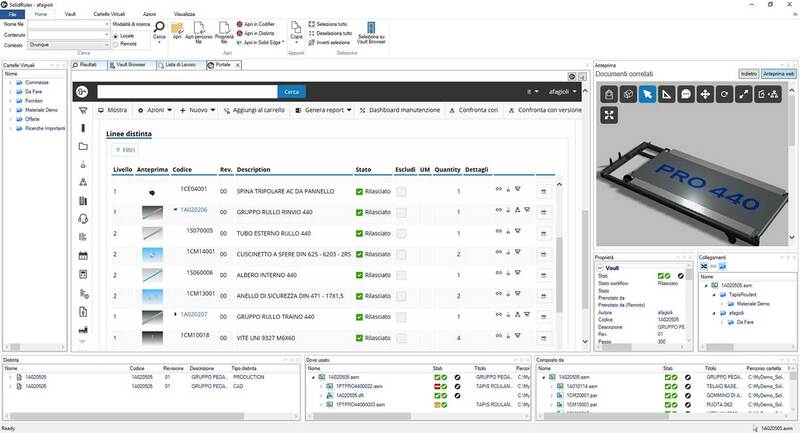 If you want to offer existing objects or objects that haven't been realized yet, the solution you need is SolidRules® Configurator Office. 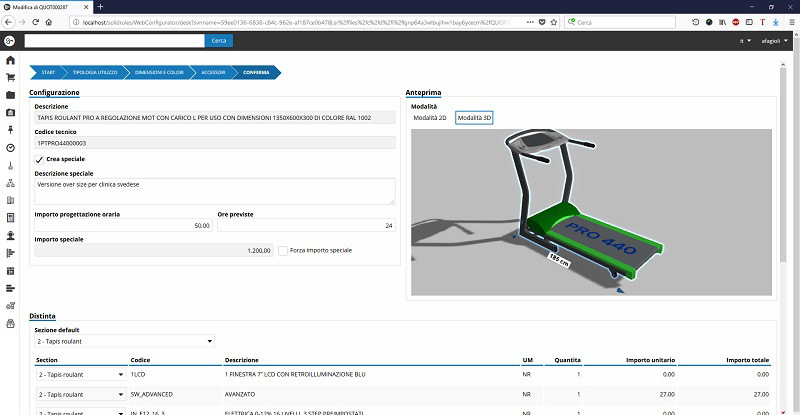 Create a quotation starting from the website, go through all the stages of the order, manage editing and coding automatically, convert the request in 2d and 3d cad objects. 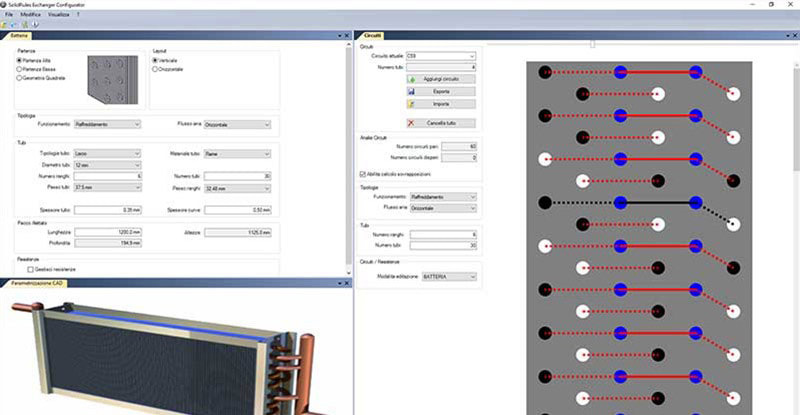 This is SolidRules® Configurator Manufacturing. 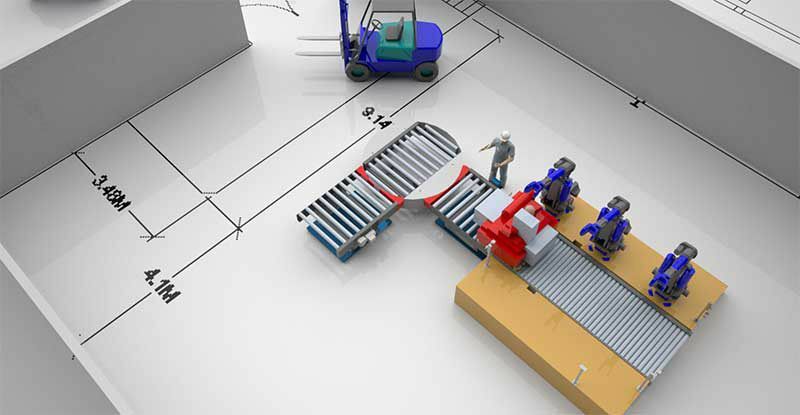 Design layouts and machineries is sometimes essential to win the negotiation. If you don't want to fill your technical office all of these things can be developed by your salepersorns with SolidRules® Configurator Planner. Less than a minute to create spare parts 2D or 3D files starting from CAD. Just one click and you have all the info about spare parts on the portal. This is what happens when you use SolidRules® Parts. When you want to know the cost of each component you usually have to ask and wait for your suppliers to calculate quotations. With SolidRules® Costing	you will be able to know the cost of your objects in design phase. Do you sell, design and realize heat exchangers? If you want to reduce leadtime and you don't know how to do it, the answer is SolidRules® Exchanger. Discover the advantages of a full mobile solution from PDM to Production, passing through Quality, Configuration and Automation. And with your management software! Technology partnerships are still expanding by adding a new major player. Thanks to the partnership defined with PTC®, the SolidRules® platform is enriched with the integration with CREO® Parametric. Free Webinar - Put your Technical Office at the heart of your company with SolidRules InCentro, much more than a PDM! Registration are now open to the new SolidRules InCentro #webinar. When? On March 1st at 3:00 pm. Find out more on our webinar's page. With the SolidRules Studio environment you can send a rocket to the Moon. After reading this statement, you think that: (1) you have nothing to send to the Moon (2) you must configure a machine or a plant (3) you do not want to waste time with new tools (4) for you to configure means to fill in fields in Excel. If this is what you think, take 3 minutes to see how, with SolidRules and a simple Excel spreadsheet, you can create a Web Configurator from scratch, in 40 minutes, that you can use on your PC, Tablet, Smartphone. Let me be clear, the SolidRules Configurator is much more powerful than that. If you want to find it out, watch SolidRules Configurator video	or contact us! Fill out the form or send us an email at info@solidrules.com and tell us about your needs. We will contact you to provide you all the solutions.